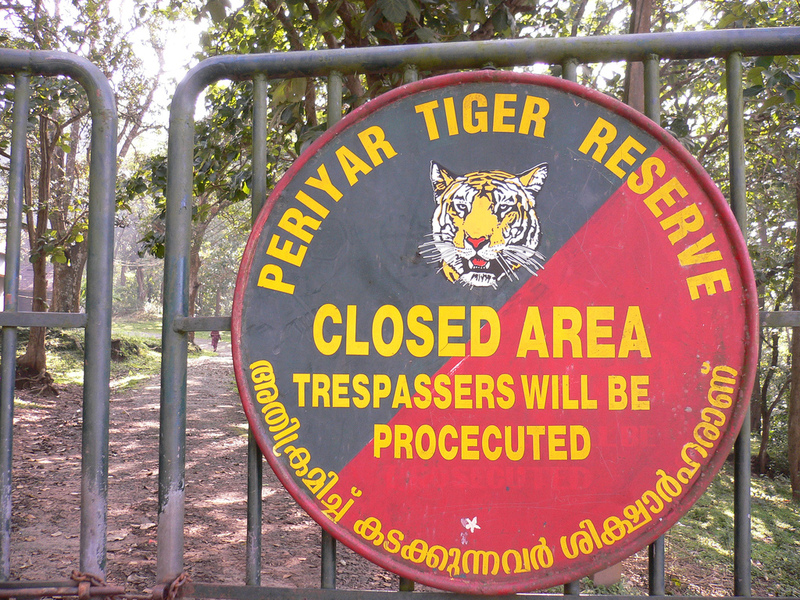 After visiting almost all the places in the God's Own country - Kerala, we planned for a two days trip to Periyar Tiger Reserve, Thekkady. Situated at about 90km from Munnar, Thekkady is one very appealing town of India with vast forest areas and some finest nature views. 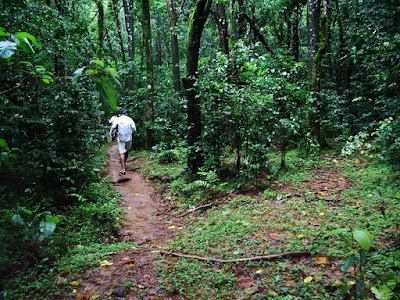 Periyar forest is one of the finest wildlife reserves in India, and spread across the entire district are bewitching plantations and captivating hill towns that hold great opportunities for treks and mountain walks. We started from Trivendrum at around 2 P.M and reached Thekkady by 8 P.M which is at a distance of 250 km. We didn't booked hotel in advance, as there wont be much crowd there when compared to other tourist places. But if you want to stay in a good hotel, you must book in advance. There are many hotels and resorts in Thekkady which can book through online but they will be very costly. we explored few hotels and at last we got 2 rooms in a budget hotel at an affordable price. You need to be pretty fit physically and tough mentally to complete the trek and leeches are the least irritating of it, though they give you something like a canvas socks and a torch light. There will be two persons accompany us to guide & for our protection. We were surprised about the weapons they carry for protecting us, it was very small knife similar to that of knife which can be used to cut vegetables, lolz. Immediately after entering into the forest we saw an animal with only eyes visible to us. We followed that animal for few minutes to see it very closely. Unfortunately we were unable to trace that as it went deep into the forest. Our guide stopped us at one place and gave tobacco powder to spray it on our foot so that there wont be any damage from leeches. But the leeches already entered into our shoes and sucked so much blood. After trekking for some time, we were made to sit in the middle of forest on the side of a lake, so that we can see some animals when they come for drinking water. 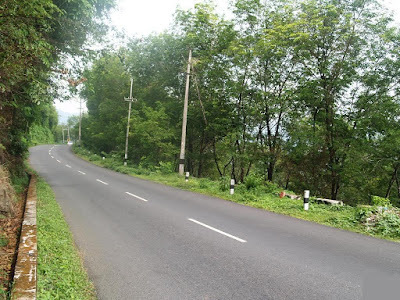 That time we heard scary sounds of many animals few distance away from us and as time went on sounds were in such a way that the animals were approaching near to us. We saw an animal similar to cheetah there running away from us and again we followed that for some time. On the way we saw the foot steps of the herd of elephants, and guide say that elephants are more dangerous than any animal in that forest and asked us to keep silent as there will be a possibility of elephant attack there. Finally after trekking for almost 3 hrs and for about 15 km we reached our starting point. 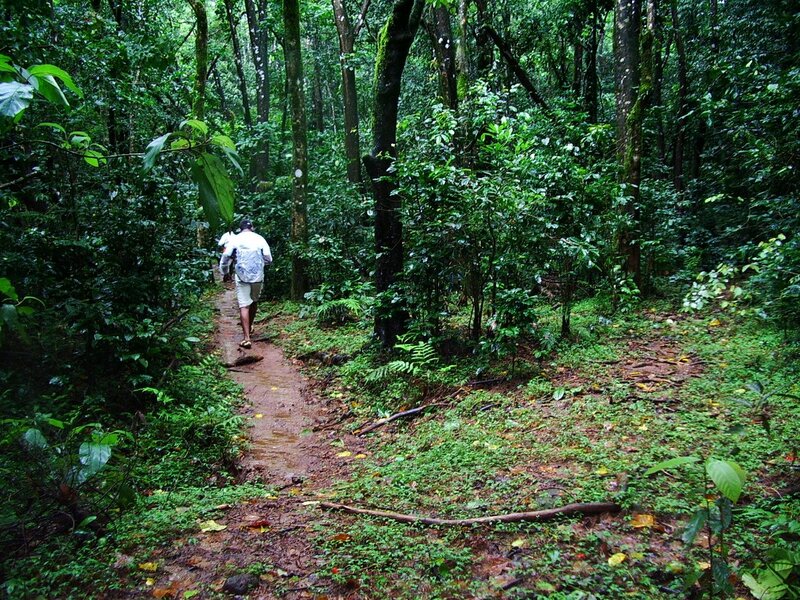 First 2 hrs of the trek was really scary and we enjoyed a lot going through deep into the forest. 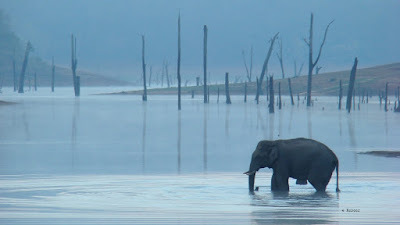 Next day we planned for the famous boat ride in the Periyar lake which is known for its beauty and can spot animals as the lake was situated in the middle of the tiger reserve. The boat ride is organized by the kerala forest department and only in the specified time slots. we went there at around 9 A.M and took tickets for the 9.30 boat trip. Even though we spotted few animals, but the boat ride in the early morning will be the best time. After completing the boat ride, we did some shopping in the Thekkady and returned back to the Hotel. 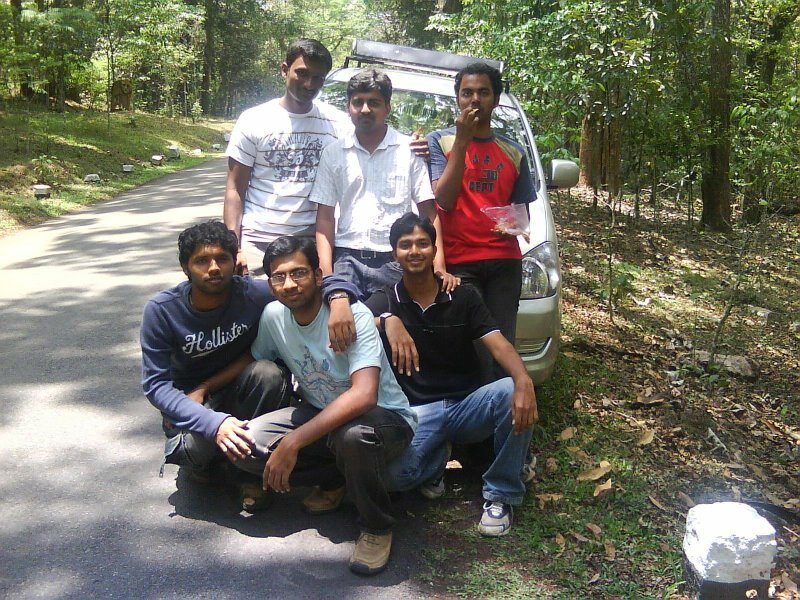 At around 1 P.M we started from Thekkady to Trivendrum. And we reached Trivendrum at around 7 P.M. 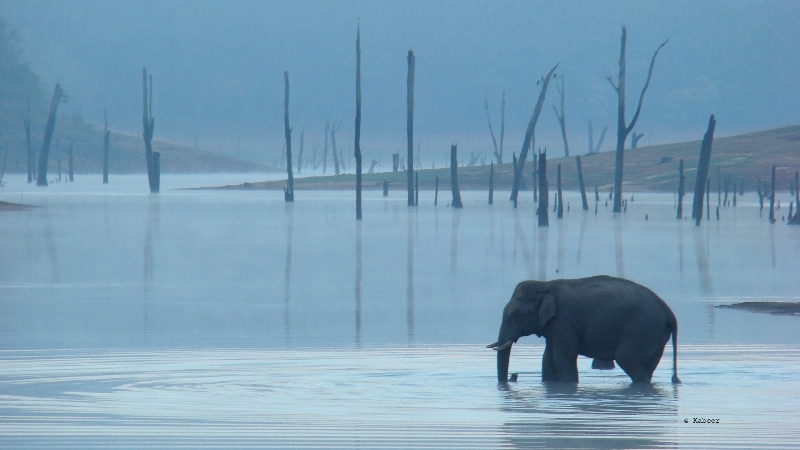 This trip to Periyar Tiger Reserve is one of our best trips and i recommend every one once visit Thekkady if you are planning for kerala trip. Hi is it a good idea to visit Periyar Tiger reserve in December end? 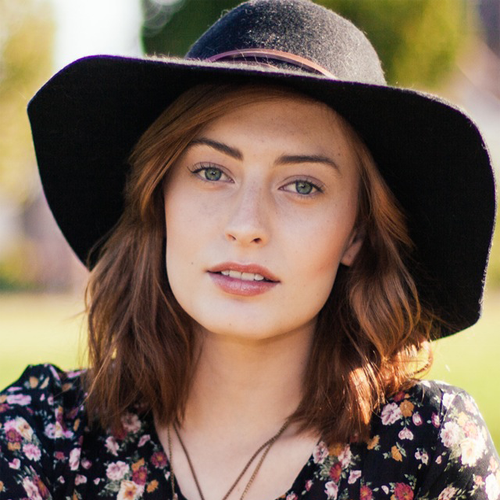 The absence of open transport implies contracting an auto,click for source enlisting a taxi or utilizing a neighborhood strolling occasion organization to get to the begin and from the complete of the trek.